Nicknamed Zulu for his command over the native African tongue, Lance Klusener coached the Lyca Kovai Kings during the first edition of the Tamil Nadu Premier League (TNPL) and now is all geared up to be back for the second season of the league. "I thoroughly enjoyed the experience last year. I thought the quality of the tournament was top class. If we can build on that in the coming seasons, then we will be giving opportunities to many players to make a mark on the big stage," Klusener told TOI on June 2, Friday. The 45-year-old, who has featured in 49 Tests and 171 ODIs for South Africa, is remembered for the hard-hitter and the finisher he was. The Soth African also bowled a nagging medium pace. The TNPL is a domestic T20 competition conducted by the Tamil Nadu State Cricket Association (TNCA) in which a total of eight teams compete for the title. It was started in the year 2016. Klusener guided the Kovai Kings to the semi-finals in the maiden edition of TNPL. TNPL has provided Tamil Nadu with a platform to showcase their domestic talent and in players such as Washington Sundar and Vijay Shankar have benefitted a lot from the tournament. 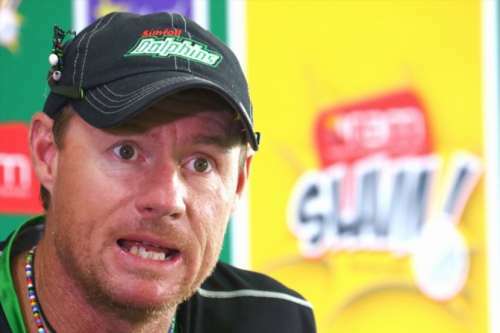 Klusener feels that if the Kovai team can build on the first season, then it will bring to fore a lot of talent. It was confirmed by the Chief Operating Officer (COO) of Lyca, Raju Mahalingam, that the franchise will retain its entire staff from the first season which also comprises of well-known names from the state such as former Tamil Nadu batsmen C Hemanth and R Prasanna. The TNPL 2017 will be held from 27th August to 18th September. The tournament consists of eight contenders for the title and a total of 31 matches will be played throughout its course. The TNPL had a decent run in its first edition and has brought to the fore a fresh set of young and promising players from the state as well as the nation as a whole. With cricketing legends such as Klusener to guide them in the dressing room, the youngsters are set to take a lot from this experience.